Click to enlarge Set in a land, not too far away from you. There lived a hardworking man, named Okonkwo, who never really had things easy in his early life, but worked his way to recognition. What could have led to this turn of fate? 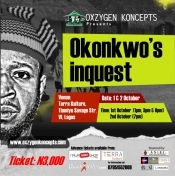 OKONKWO'S INQUEST is a stage play inspired by Chinua Achebe's classic novel "THINGS FALL APART". 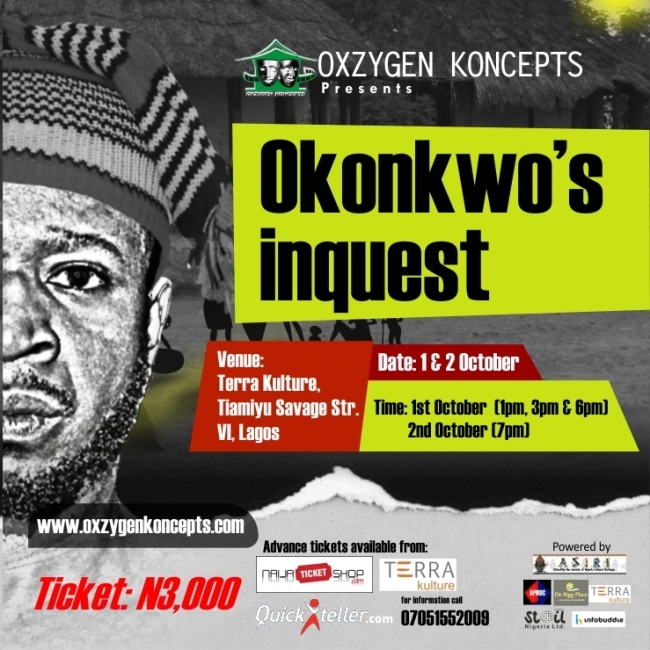 The play intends to rationalize human reactions to strange cultures and dogmas through a post mortem on the fatal consequences of colonial assumptions of the African traditional structure.